Feb 2012: This is an archived page. 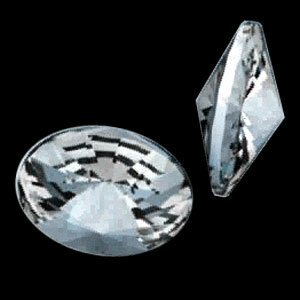 Please refer to Swarovski Crystal Round Stone 1122 for the full updated version. 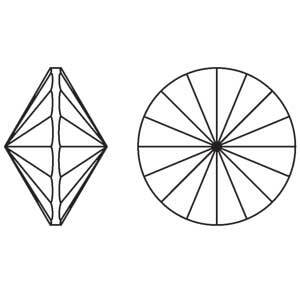 Swarovski Round Stone Rivoli 1122 - a round precision cut stone with smooth facets that offers elegant stylish brilliance. This beautiful and brilliant cut stone is also available in the Pendant range. Round Stone 1122 is available as Foiled (F) or Unfoiled (U) - see information on Foiling Effect. 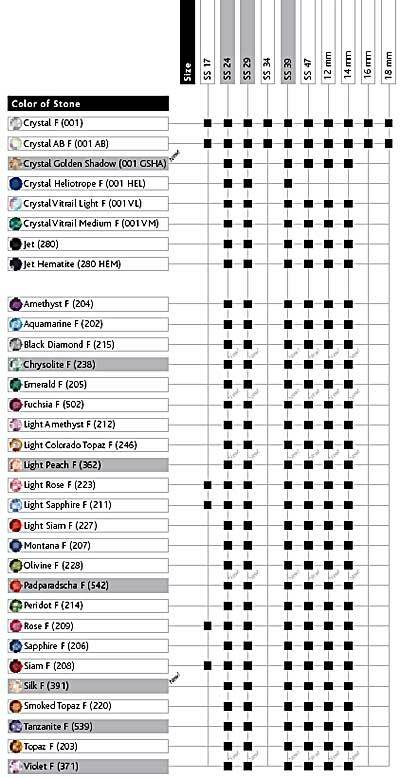 For the actual SS stone sizes, see PP/SS sizes. Please see your supplier, like ClearlyChosen to request for the size and colours you want.